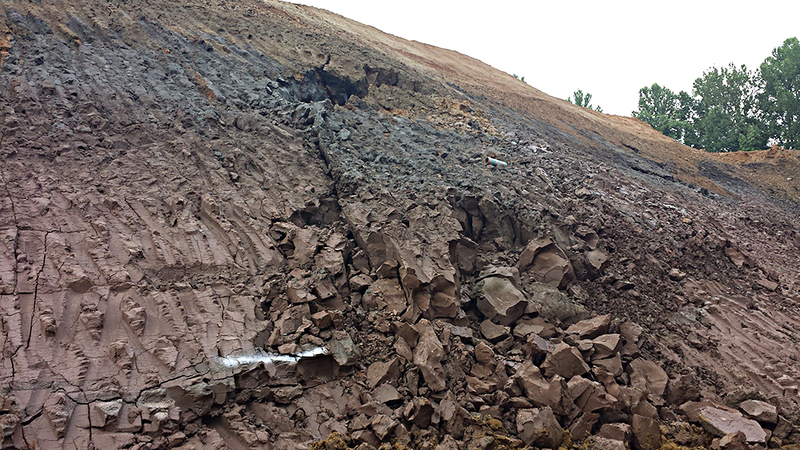 Managing Risk of Slope Instability for Marlboro and Potomac Clays | Geo-Technology Associates, Inc.
Association’s (MBIA’s) Build Maryland, Sept/Oct 2016 magazine. Written by: Andy McKeen, P.E. What is considered a stable slope? A slope with a factor of safety (FOS) of less than 1.0 is considered unstable. The FOS is a measure of the ultimate strength of a system to the actual applied load. So when the applied load is greater than the overall strength, the slope will fail, and the FOS will be less than one. In engineering practice, a slope with a factor of safety of 1.2 to 1.5 is considered stable. What attributes to the stability? There are many factors that contribute, but primarily the soil weight, strength, groundwater, and the overall slope geometry. In soil mechanics, soil can be assigned an internal angle of friction, and cohesion to measure strength. Generally speaking, the friction angle is the angle at which a soil can “stand up” without sliding over itself. To put it in perspective, picture a large stockpile of soil. For gravelly soils, the pile can be placed at an angle ranging from 38 to 45 degrees before slides and sloughing of soil will occur under its own weight. For sands, this angle can range from 28 to 38 degrees, and for clays 15 to 28 degrees. The second component, cohesion can be thought of as the “glue” that holds soil particles together through cementation in sandy soils or by attraction in clay soils. While shearing under a confining pressure, the shear stress in soil will increase to a certain peak strength level. This peak strength level is typically reached within relatively small displacements. As shear deformation continues past the peak strength, the shear stress drops to a residual strength level and will remain constant, even for large deformations. Internal friction angles at the residual strength level can be as much as 40 to 50 percent less than the typical friction angles at the peak strength, as mentioned above. Due to low shear strength, clays can be problematic for slopes. In many cases cracks and old slide planes (known as slickensides) are present within clayey soil stratums. Such “slickensided” clays are present throughout Maryland. In particular, the Arundel or Potomac Clay, present throughout central and northern Maryland and Marlboro Clay present primarily in Prince George’s County. Considering the slides and movement, it is more appropriate to utilize the residual friction angle in Marlboro and Potomac Clay. Slides of the Marlboro Clay (reddish-brown in color, bottom of picture) layer after a storm event, during a mass excavation and replacement slope stabilization. Slopes constructed in or on top of these formations require careful analysis, and if not analyzed and designed properly, can result in an unstable slope potentially leading to failure. Roadways, buildings and other structures should not be located within a shear plane with inadequate FOS. To perform a proper analysis of a proposed slope or retaining wall, geotechnical information including soil borings to delineate the top, bottom, and thickness of the clay layers, and laboratory testing to estimate the residual strength of the clay should be performed. Enough information should be obtained to fully characterize the clay both up and down slope. Avoid slopes steeper than 5H: 1V on top of the clays. If possible, “bury” the clay, and keep it as deep and far behind the slope as possible. Minimize excavation or “unloading” of soil in front of the slope when adding fill behind or on top of the slope. Keep water away! The buildup of water will reduce stability of the slope. The top diagram identifies slope instability due to the presence of Marlboro Clay. The planned structures are impacted by the 1.5 FOS line. The bottom figure shows a mass removal and replacement to stabilize the slope. This is very expensive, and can possibly be avoided with proper analysis and input from the geotechnical engineer prior to permitting and final site designs. To minimize headaches, a qualified geotechnical engineer should be involved early in the site design to analyze proposed slopes, and work with the civil designer to minimize slope impacts. 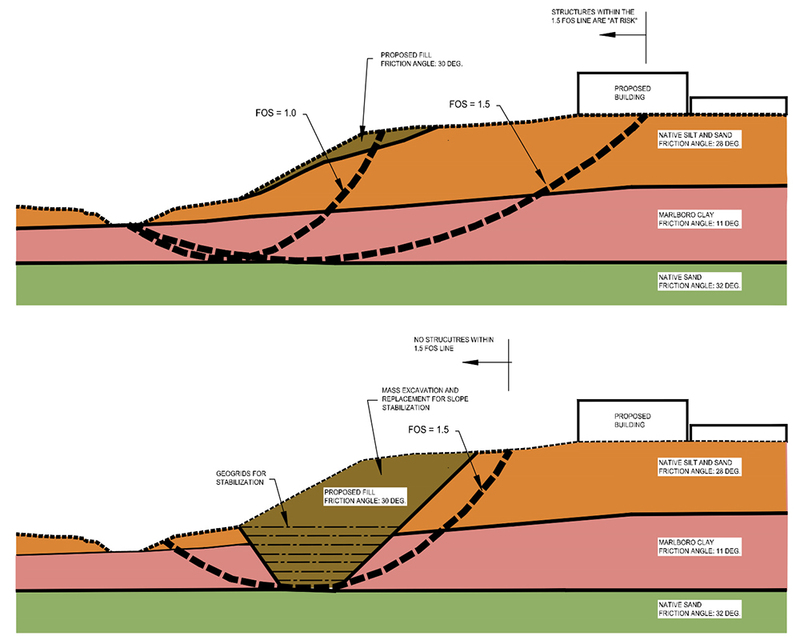 Revising grading and layout to accommodate slope issues is much easier (and cheaper) than dealing with expensive slope improvements such as mass removal and replacement of the clay or structural stabilization techniques. 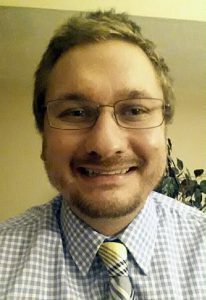 Andy McKeen is a project engineer with GTA and has more than six years of geotechnical and site engineering consulting experience throughout the state of Maryland.